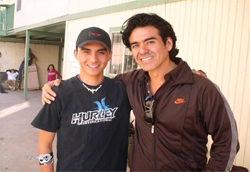 The success of professional actor Jose Yenque can be measured in part by visiting http://www.imdb.com/name/nm0947490/ and perusing his many credits in films and television shows over the past decade. However, those credits tell only part of the story of Yenque’s success. His ongoing commitment to reaching out to communities, locally as well as internationally, and his devotion to using the arts as a vehicle to help others improve their lives, is something that makes Yenque not only a successful actor, but also a successful human being. 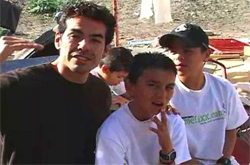 In 2002, Yenque was introduced to an orphanage in the impoverished slums of Tijuana Mexico, where he formed an immediate bond with the children there. Casa Hogar Sion (formerly El Faro), is an orphanage that supports approximately 100 children of all ages, and provides them with love, support, nurturing, and shelter despite the dire conditions of their lives. 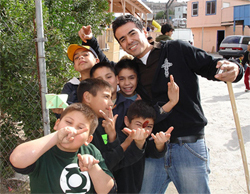 the orphanage, taking charge of the younger boys and providing them with mentoring. Israel credits much of his success to Yenque, whom he considers his honorary father. 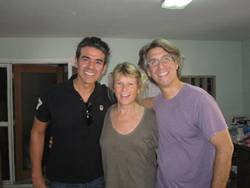 Jose Yenque with Leigh and Adam from Friends of El Faro. 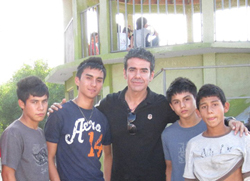 Leigh introduced me to Casa Hogar Sion orphanage about 9 years ago going on 10. At the park with some of our leaders of tomorrow..